“I have never known what the mission for General Westmoreland was…” Think about that for a moment. Matthew Ridgway was one of the great field commanders and thinkers ever produced by the United States Army. He opposed escalating military involvement in Vietnam when John F. Kennedy was President. He understood that military action must be connected to a coherent strategy and that the mission has to be understandable not just to the military but to the public. It also has to have the chance to succeed. The policy makers have to understand what is happening on the ground, understanding the history and culture of where they are committing troops. The also have to speed out the ends of the mission, that is what the desired end state, the way they intend to accomplish it, and the means, the assets; military, diplomatic, and economic needed to accomplish the mission which in an ideal world would support the desired end state. That didn’t happen in Vietnam and it hasn’t happened in some 16 plus years of war in Afghanistan, Iraq, Northern, Central, and Northeast Africa, not to mention Syria. Three administrations have failed the test of understanding what the mission was and what was needed to accomplish it. 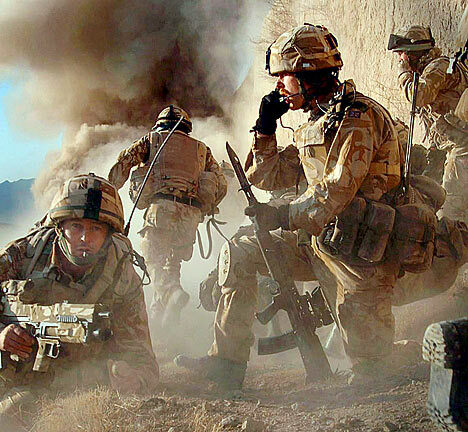 There appears to be no real idea how to fight these wars, and no appreciation of just how important that stable governments that have the trust of their people are even more important than all the troops we can put on the ground. We didn’t deal with that in Vietnam, and we haven’t done it in Afghanistan or Iraq. Instead we prop up unpopular and corrupt host governments and pretend that they represent what is going on in their country. Now we have a President who is threatening other wars while a depleted military is still engaged fighting or supporting the efforts of various allies in the Middle East. What is the mission? If we cannot answer that most basic question it matters not how many troops or how much of our national treasure we waste to accomplish goals for which we cannot describe the end state, remain committed to a coherent strategy to accomplish it, and yes provide the means to accomplish it. Playing whack a mole while insisting that we support the troops is not a strategy, it is not a plan, and it does not do anything but waste lives, prolong suffering, and weaken the nation to the point that when a real crisis comes that the government, the military, and the people will not be able to deal with it. Honestly, it’s all basic stuff, but leaders have to be honest with themselves and the people. Presidents have to be looking out for more than what the polls say about them or how to please their base. That is something that we have struggled with for the past fifty years regardless of who was President or what party controlled Congress. We have had a great military which has done all that it has been asked to do, but the military is not the end of national power. Americans as a whole don’t understand or appreciate that fact. We live in very dangerous times and someone has to start asking the hard questions, starting with “what is the mission?” If you cannot answer that coherently then nothing else matter because the military can win every battle and still lose the war. Baseball lost a legend today. 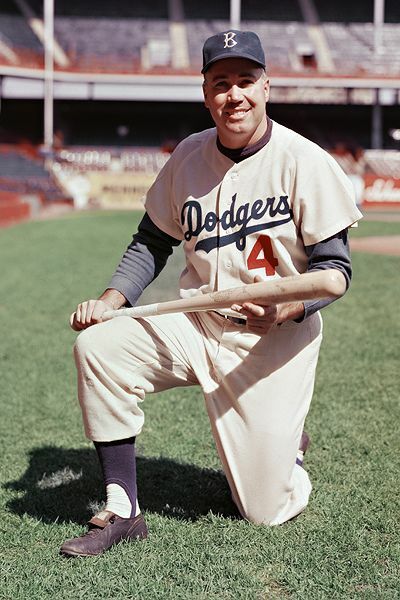 Duke Snider the “Duke of Flatbush” who was instrumental in leading the Dodgers to 6 National League Titles in 10 years and a World Series Championship in 1955 was 84 years old. During his 18 year career of which 16 were spend with the Dodgers, one with the Mets and his final season with the San Francisco Giants he batted .295 with 407 home runs and 1333 RBIs. He still is the all time home run leader for the Dodgers with 389 as well as RBIs. He was an eight time All Star. During his most productive period between 1953 and 1956 he averaged 42 home runs, 124 RBI, 123 runs and a .320 batting average. During the World Series Championship year of 1955 he hit .309 with 42 home runs and 136 RBIs. While the Dodgers’ were in Brooklyn Snider was one of a trio of Center Fielders that all reached the Hall of Fame and are considered some of Baseball’s immortals. Snider along with Mickey Mantle and Willie Mays electrified the diamond of Ebbets Field, Yankee Stadium and the Polo Grounds and have some baseball historians still arguing just who was the greatest New York Center Fielder of the era. 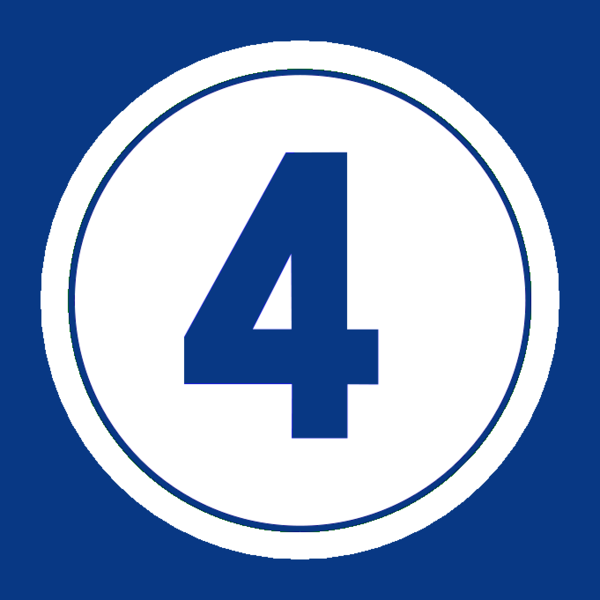 He was consistently for a period of 10 years in the top 10 of votes for MVP finishing second by just 5 points to teammate Roy Campanellain a controversial vote involving a mismarked ballot from a hospitalized sportswriter which had the ballot been marked correctly could have given Snider the MVP. Snider as well as his Dodgers’ teammates Jackie Robinson, Roy Campanella, Carl Erskine, Gil Hodges, Clem Labine, Don Newcombe, Ralph Branca, Jim Gilliam, Joe Black and Pee Wee Reese have been immortalized in Roger Kahn’s classic book The Boys of Summer. It is a book that I have read several times and is part of my usual summer reading program along with David Halberstam’s The Summer of 49, October 1964 and Teammates a Portrait of Friendship. 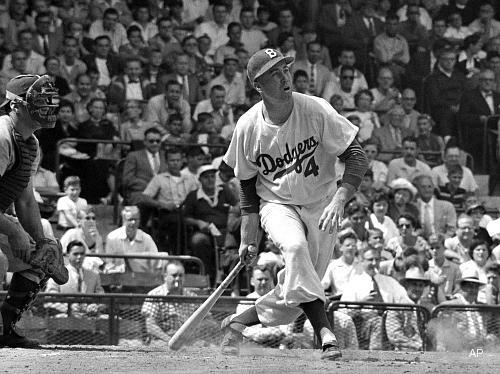 Snider was released by the Dodgers after the 1962 season after he and Third Base Coach Leo Durocher disagreed with Manager Walter Alston on a recommendation to have Don Drysdale go into the third and deciding game of the 1962 National League Championship Series against the San Francisco Giants. With a 4-2 lead Alston opted for Stan Williams in relief of Eddie Roebuck and the Giants rallied for a 6-4 win. After spending the 1963 season with the Mets and the 1964 season with the Giants he retired at the close of that season. He would later be the play by play announcer for the Montreal Expos and was elected to the Baseball Hall of Fame in 1980. The one blemish on his post baseball life was a conviction for tax evasion for not claiming income earned from the sale of baseball cards and memorabilia. I shall treasure my autographed Duke Snider Baseball Card even more. There are few occasions in history where an army is given exactly the scenario to which its organization, training and doctrine coalesce against an opponent that uses the template of organization and training that it has been designed to defeat. 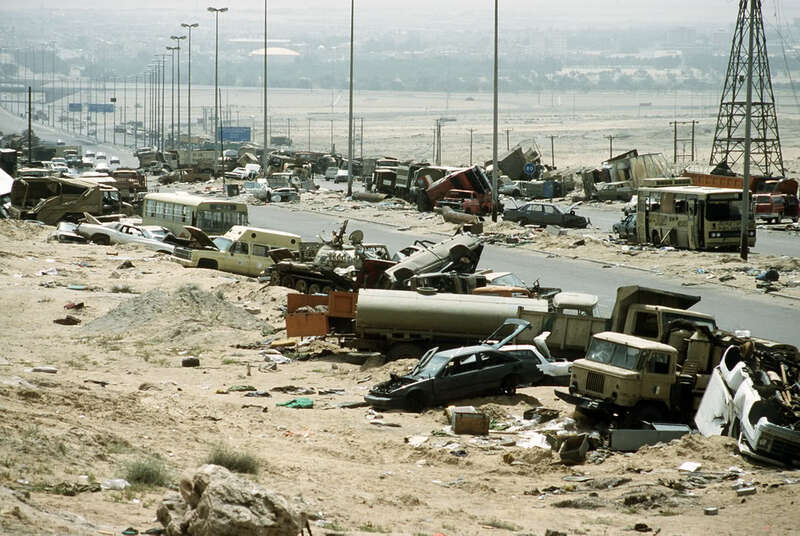 Operation Desert Storm, the liberation of Kuwait by the United States and its coalition from Saddam Hussein’s Iraqi Army and Republican Guard was such a war. 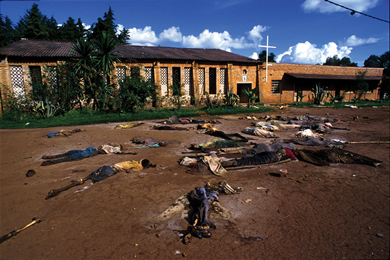 The operation was built up in the popular media to the extent that it created a false image of the cost of war and belief that wars can be won “one the cheap” because of superior technology and organization. That belief was shattered during the Iraq insurgency which began in earnest following the occupation of Iraq following the defeat of Saddam in 2003 by a significantly smaller US force than was used to liberate Kuwait twelve years before. The superior performance of the Army in the Gulf War did not turn out to be the template of how future wars would be fought. In the following years the US military has become embroiled in conflicts where opponents use inexpensive and often crude off the shelf technology to counter conventional US superiority in firepower and organization. 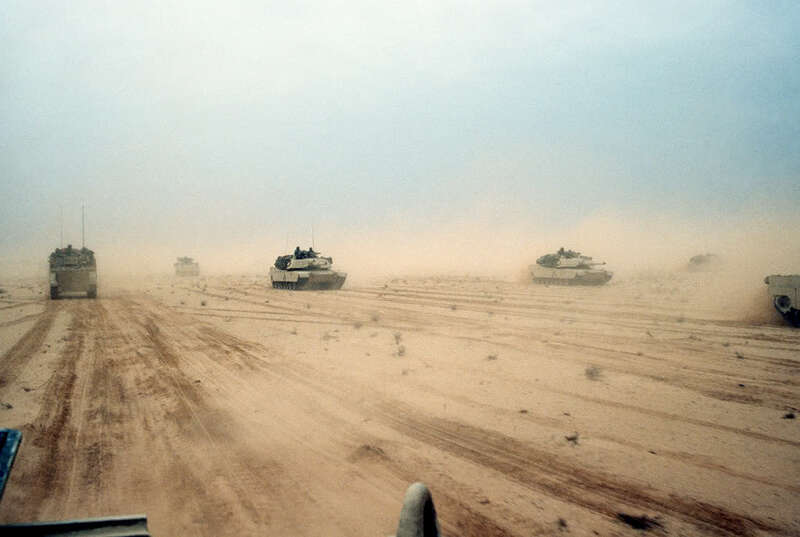 During the First Gulf War the Army was aided in that the doctrine that it developed to fight a war in Europe against the Warsaw Pact, the Airland Battle was “perhaps best suited to armored warfare in the open desert.”[i] Of course during Desert Storm this was exactly the setting that the Army would be called on to fight. Unlike Vietnam where the Army attempted to fight an unconventional war with conventional tactics the Army had the chance to fight exactly the battle that it had trained for, against an enemy trained in the tactics and using the equipment of its former Soviet adversary. The Army enjoyed the advantages of having “reached a high level of training and technological proficiency”[ii] against the Soviet threat. The fact that the Soviet Union and Warsaw Pact had melted down unexpectedly in 1989 and 1990 and removed any conventional threat in Europe which allowed the Army to concentrate massive amount of forces including the VII Corps from Germany to the Middle East was nothing short of incredible. Additionally the Army had the advantages of superior weaponry and the fortuitous timing of the war before the effects of the post-Cold War drawdown were realized. For the Army the “1980s were a golden age of military thought and debate,”[iii] and the Airland Battle concept “was greeted with enthusiasm throughout the Army.” Terms such as initiative, agility, synchronization and depth….soon became part of every officer’s vernacular.”[iv] Colonel Harry Summers who had written a critical history of the Vietnam War noted that FM 100-5, the Army’s primary manual of operations, was the “operational blueprint for Operation Desert Storm.”[v] That blueprint had a well trained and disciplined force schooled in the conduct of the Airland Battle concept enunciated in FM-100-5. David Halberstam noted that Operation Desert Storm was fought by a “professional army-a very professional army.”[vi] Seldom in the history of warfare was any army trained and equipped to fight the exact battle for which it found itself. The foundation of doctrine, training, technology and organization laid in the 1980s was solid. The Army was not only effective in the Gulf War, it was overwhelming. This is not to say that the Army did not encounter problems. It did, some which against a better trained and equipped force might have negatively impacts its operations. However the problems encountered did not keep it from dominating the battlefield. 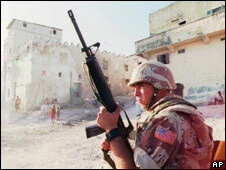 The US rapidly deployed a blocking force of paratroops and Marines following the Iraqi invasion of Kuwait at the end of August. While few in number they served as a deterrent that Saddam did not test. There was great concern that had Saddam pushed into Saudi Arabia when forces were small and lightly equipped that he might have succeeded in capturing the northeaster Saudi oil fields and production facilities. The military leadership continually reinforced these forces first to a substantial defensive force and then with the addition of more forces a significant offensive force. 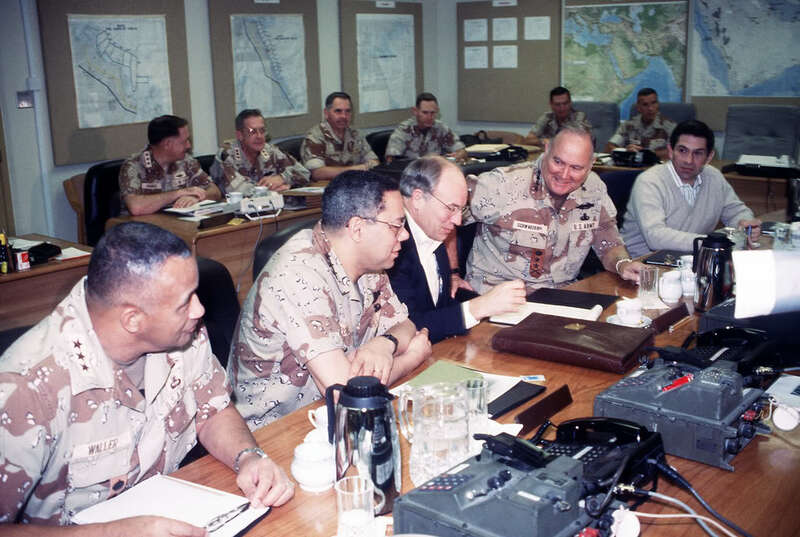 Thus when the decision was made to liberate Kuwait under the United Nations resolution the forces were there and ready. When the war began advances in Joint warfare and C3 was evident in the effectiveness of the operations. [vii] Particular successes included the movement of VII and XVIII Airborne Corps into the desert to outflank the Iraqis in Kuwait[viii] and every actual engagement between Iraqi and American forces. Of note was the performance of Major General Barry McCafferey’s 24th Mechanized Division,[ix] and the 2nd Armored Cavalry Regiment at 73 Easting against the Republican Guard’s Talwahkana Division. [x] Likewise the action of 2nd Brigade 1st Armored Division against the Guard’s Adnan Division at Madinah Ridge[xi] displayed the effectiveness and lethality of the Airland Battle and joint warfare concepts developed in the 1980s. While the debate about Operation Desert Storm still persists nearly 20 years after the fact the more important lesson was not learned. That lesson was that Operation Desert Storm was not the new face of war, but rather an anomaly. It was a war that was the swan song of the Cold War where the doctrine, technology, organization and trained to and practiced were inflicted on a less well trained and equipped version of the force that they were designed to defeat, forces which were badly deployed and already isolated by airpower even prior to the ground war. 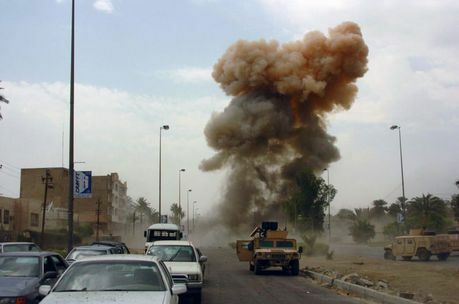 Once the ground war started the Iraqi forces in Kuwait and southern Iraq had little chance against the massive US and coalition force arrayed against it short of preemptively using the chemical and biological weapons of which Iraq had an ample supply. 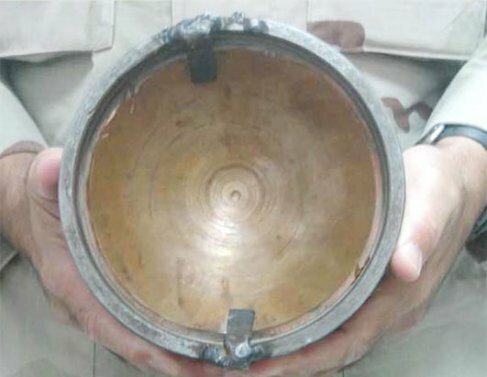 It did not employ these weapons for a number of reasons, but without them Iraqi forces exposed in the open desert with no air support and cut off from much of their supply by constant air attacks were easily defeated. Instead of a litany of Desert Storm like scenarios US forces as well as those of NATO and UN allies have had to deal with terrorism, insurgencies, revolutionary wars, tribal wars of genocide and wars waged by religious extremists. Despite more than a decade in dealing with these types of war, many in the military and political establishment as well as the media and public opinion believed that Desert Storm was the model for future wars. As such after the brief period of euphoria which occurred after the initial phase of Operation Iraqi Freedom the grim reality of war has stared Americans and others in the west in the face. While the military has performed well, it has had to adjust and learn lessons about war that it wanted to avoid during and after Vietnam. Those were the lessons of counterinsurgency, unglamorous and unexciting they were the lessons buried after Vietnam which were ignored until it was nearly too late in Iraq and possibly now too late in Afghanistan. Desert Storm was an anomaly and one does not base the future of war on the swan song of the last war. [vi] Halberstam, David. War in a Time of Peace: Bush, Clinton and the Generals, A Touchstone Book published by Simon and Schuster, New York 2001. p.153. Gordon and Trainor note that the “never in the history of the Republic has a more competent and more professional military been fielded. [viii] Atkinson pp.309-310. Atkinson discusses the fact that American commanders involved had seldom maneuvered units of battalion or brigade size prior to this operation. [xii] Ibid Atkinson pp.315-316. Atkinson notes that there were 28 incidents with 35 killed and 72 wounded. [xiii] Ibid. pp.405-407. Schwartzkopf felt that Franks was not aggressive enough and that VII Corps was “sluggish” and “ceding the initiative to the Republican Guard.” Schwatzkopf even threatened Yeosock that he would fire Franks. Summers Harry G. On Strategy II: A Critical Analysis of the Gulf War, Dell Publishing a Division of Bantam Doubleday Dell Publishing Group, New York NY 1992.